Financial technology firms, many of which command significant positions in the payments business, can now apply to become national banks. Moving on a proposal it’s had under consideration for months, the Office of the Comptroller of the Currency announced on Tuesday it will begin accepting bank-charter applications from fintech firms. 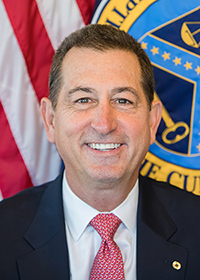 The Comptroller of the Currency, Joseph M. Otting, said the decision to let fintechs into the federal banking club has much to do with encouraging innovation in financial services and expanding opportunity for businesses and consumers. Under the new charter, fintechs will be subject to the same laws, regulations, reporting requirements, and supervision as traditional national banks. In return, the new banks will be subject to one set of rules, those at the federal level. Before Tuesday’s OCC decision, fintechs could only obtain state charters, a lengthy and arduous process that could subject the company seeking national coverage to 50 sets of regulation. At the same time, banking functions like taking in deposits and making loans can be appealing to financial-services companies looking for fresh capital and for ways to exploit the predictive and processing power of their technology. For this reason, some firms have sought to establish special-purpose banks known as industrial loan corporations. One prominent example is Square Inc., which encountered a setback earlier this month when it said it would re-file its application with the Federal Deposit Insurance Corp. in connection with its ILC effort. That effort is strongly opposed by the Independent Community Bankers of America, a lobbying group. But some states are also opposed to the extension of national banking status to fintechs. In December, the U.S. District Court for the Southern District of New York dismissed a lawsuit from New York’s superintendent of financial services challenging the OCC’s authority to grant bank charters to fintech firms. Whether the OCC’s announcement Tuesday will open the floodgates for federal fintech banks remains to be seen. But some advocacy groups, including the Washington, D.C.-based Electronic Transactions Association, are celebrating the decision as a steppingstone to wider and richer opportunity for technology-centered financial-services firms.